In 2050 approximately 60% of the world’s population will live in macro-cities with tens of millions inhabitants. The urgency of creating a sustainable city that hosts all needs, is the reason why the concept smart city is born. The concept of Smart City is a type of urban development based in sustainability which is able to answer to the basic needs of institutions, organizations, and the inhabitants, in the economic field, in the operative aspects, socials and ambientals with the aid of infrastructures, innovation and technology. This, combined with the trend of the Industry 4.0 “Internet of things” (IOT), in which digitization, driven by the connections between people, processes, data and objects in this new technological revolution will transform everything from the production model to the way we live, work, learn and have fun. 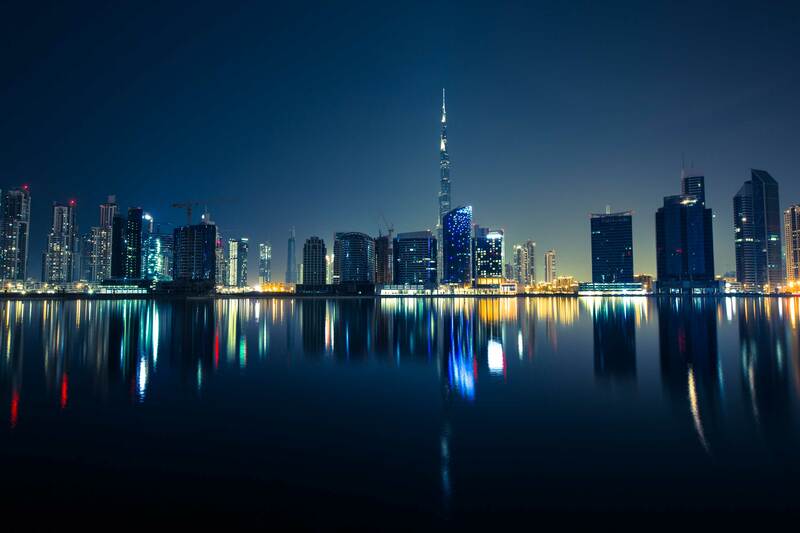 In this context, D MEDIA IDEA, a company specialized design and technology, decided to contact bigD for the development of a product / service for the city of Dubai, one of the most famous examples of “Smart City” in the world. One of the most important Smart City of the world is Dubai, due to his exponential growth and his reputation like technology center. In this context, D IDEA MEDIA began this project and contacts with bigD in order to develop a WIFI distributor self-sustaining station for the city of Dubai. An ambitious project with the objective of convert all this stations in relevant points of the city, like meeting points, technological points, informative and relaxing points for the users. SmartPalm is an unusual project for a Design Studio due to its dimensions and magnitude, almost 4 metres. For this reason we can say that this project is close to architecture talking about structural and constructive aspects. One of the first actions we made was move away from desk and begin working in real scale in order to have clear the dimensions we were working out at the conceptualization phase. At the same time we move toward the engineering and a minucius calculation of the consumption of the Palm which would determine the surface of the solar panels to implement in the design. When this was solved we began working on the semantic and formal aspect of the product generating different concepts and photorealistic pictures which allowed D IDEA MEDIA visualize and take decisions. Nevertheless, we focused not only in the tangible but also we worked in the user experience, in the interaction of the object with its surroundings, designing its “Customer Journey” and providing ideas of services added to the product. 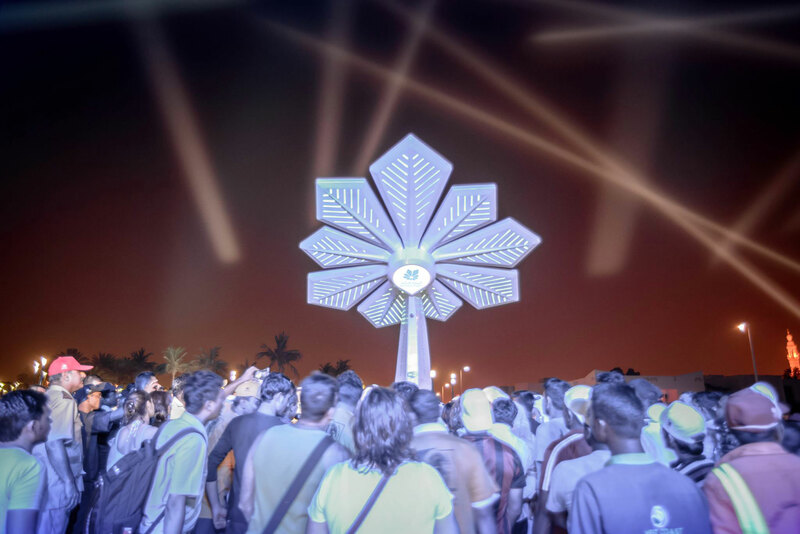 SmartPalm is a self-sustaining station for outdoors with the shape of a palm-tree , the main symbol of Dubai. The project of Smartpalm is one of the initiatives for which the goverment of Dubai has comitted ahead of the World Expo 2020 “Connecting Minds, Creating the Future”. SmartPalm is a fusion of easy access to information, WIFI accessible and sustainable technology. SmartPalm offers quick and easy access to internet for all types of devices. It provides touchscreens which offer information about the city of Dubai. All this thanks to the solar panels that generate the needed energy to provide Wifi in the area, load devices and inform through its screens. Considering the relax points and sitting areas which provides, this “Palm-tree” becomes in a referent point of rest and leisure in the different parks of the city.